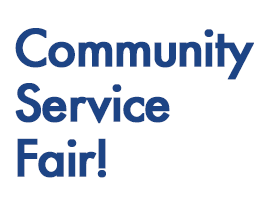 The Anchorage Community Development Authority (ACDA) is sponsoring a “Community Service Fair” at the downtown Transit Center on January 18, 2018 from 12:00 p.m. – 3:00 p.m. A variety of non-profit community and national programs will be available to assist the public as well as offer information about volunteering with these agencies. With the anticipated closure of the Transit Center for re-development, ACDA engaged with the local community service providers during 2016. Through these discussions, one of the tasks that were recommended by service providers was to host a service fair at the Transit Center. This event is free to the public to attend and EasyPark garage parking (6th & H parking garage is recommended) will be validated at the event.